Mandi Hayes is a Physiotherapist and Owner of Resolution Physiotherapy & IMS Clinic, in Barrie, Ontario. Mandi is honored to have been nominated as Barrie’s Best Physiotherapist. Mandi graduated with her BSc in Human Kinetics from University of Guelph in 1994, her BSc in Physical Therapy from University of British Columbia in 1999, and has recently graduated with her Masters of Clinical Science in Physical Therapy from University of Western in 2014. After graduating, Mandi worked in Whistler, BC, and then moved to Jasper, AB where she owned a very busy private practice clinic. 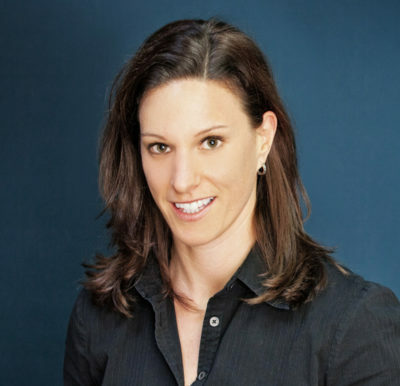 Mandi attained the highest Manual Physiotherapy Certification in Canada when she completed her Diploma of Advanced Manual & Manipulative Physiotherapy in 2002, and also completed her Certification in Gunn IMS in 2007, and now acts as a mentor to fellow Physiotherapists. Mandi has enjoyed working part-time as a Professor in the Health Sciences Department at Georgian College and has now completed her Masters of Clinical Science in Physiotherapy at University of Western. Mandi has gained extensive Sports Physiotherapy experience, including: 7 years of traveling internationally with the Canadian National Freestyle Ski Team; traveling with the Canadian Snowboard Team; National Events in Soccer, Wrestling, Wheelchair Basketball, Ultimate Frisbee, Skiing and Snowboarding; Working one on one with National and Provincial Level Athletes in Nordic Skiing, Biathlon, Triathlon, Rowing, Basketball, Rugby, and Hockey. Mandi has also completed post-graduate training in ImPACT Concussion, Temporomandibular Disorders (TMJ), Craniofacial Dysfunction, Vestibular Rehabilitation, Custom Orthotics, K-Taping, Womens Health, and Canine Physiotherapy. Mandi consistently achieves results with a wide variety of clients, ranging from elite athletes to clients suffering from debilitating chronic pain, providing one on one extended appointments and utilizing Manual Physiotherapy, Active Myofascial Release, Neurofascial Release; Gunn IMS; K-Taping, Sports/Life specific core strengthening, proprioceptive, postural, and flexibility training.